Alliance Strategies Group is an industry leader in digital marketing and advertising. We provide our clients with a wide variety of services, so no matter what your brand, organization or image needs, our marketing team can help. We provide a wide variety of niche services like fundraising, direct response marketing, doomsday or prepper email lists, Christian email lists, business strategies for figures in the firearms industry, and more. Online marketing used as a component of political campaign marketing or other direct-response marketing is more than opens, clicks, and impressions. It’s about an integrated campaign that leads to an increase in conversions and sales. The ASG Online Marketing team is not a traditional interactive agency. We take online marketing very seriously for many multi-national corporations and small businesses alike. Unlike other firms, we don’t force you into long-term contracts. Instead, we gain and keep accounts based on our performance. Allow our expert team of online marketing consultants to strategize your online marketing campaign and increase its performance. The ASG senior team works at the highest levels of government, directing communications for industry leading corporations, as well as executing strategy for major political candidates and non-profit organizations. With deep online knowledge and vast strategic experience, we offer an unmatched combination of traditional PR savvy and cutting-edge digital marketing techniques, with some of the most sophisticated tools in the industry, thereby leading to concrete results and satisfied clients. Our online marketing consultants focus on planning and executing well-thought-out and targeted digital marketing campaigns. Our goal is to help you develop and promote your message across all digital channels, including social media, web, email, and more. 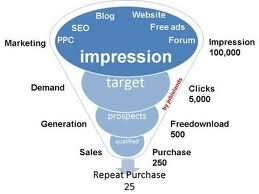 We will help measure the results of these campaigns to ensure your target audience has been reached. Today’s conversations regarding policy, reputation, products, and services increasingly take place outside of traditional media outlets. Your targeted demographic will be identifiable on Twitter, Facebook, blogs and other social networks through their “Likes”, “Tweets” and comments about you and your competitors. Our online marketing consultants can help build and maintain your social media presence. ASG identifies the conversations that shape opinions of you or your brand, and engages in ways that effectively and powerfully deliver our clients’ message and converts into sales or donations. The ASG Online Marketing team has conducted integrated, new media campaigns, comprehensive online reputation management efforts, content creation, content development, website development, and broad social media outreach for industry leaders across the nation within an integrated online marketing campaign. As online marketing consultants, we will identify trends and insights that can benefit your campaign strategy. We are experts in the digital world and will ensure that your campaign’s customer experience always puts your best foot forward and your company’s mission at the forefront. Every day, the ASG Online Marketing team manages campaigns that identify, mobilize, and activate key audiences. Your online content affects the way your audience connects with your brand. Our team of online marketing consultants are here to ensure that connection is always positive. From complex political campaign marketing to advocacy marketing, to Republican fundraising and online investor relations, we have done it all. If you’d like to benefit from our online marketing consulting team’s experience, contact us at (561) 336-0040, info@asgroupinc.com or @asgroupinc.